The 21-year-old midfielder arrived in Barcelona on Wednesday; he will be formally presented on Thursday at Camp Nou. 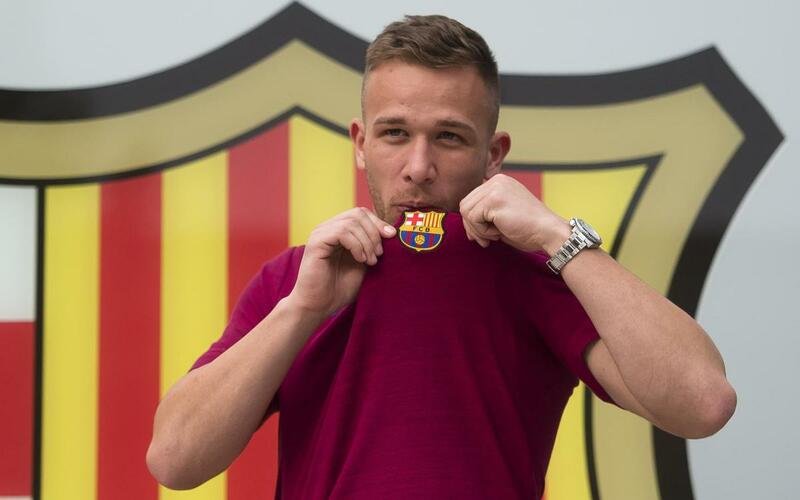 FC Barcelona’s first signing of the 2017/18 season, Arthur, arrived in the Catalan capital on Wednesday. On Thursday, Arthur will be officially presented. After landing at Barcelona-El Prat Airport on Wednesday afternoon, the 21-year-old Brazilian midfielder made his way to Camp Nou for a photo at the Club’s offices. Before he left the airport, he had a few words for Barça TV. Here are the highlights of what he had to say.